There are a lot of uncertainties in medical science (see my recent post here for just one example), a lot of areas where we just don’t have enough research to know if something is harmful. But smoking isn’t one of those areas. To be blunt, cigarettes are expensive, addictive and they kill. I hope my daughters will never take up smoking and I think most parents feel the same, even those who smoke themselves. Yet every year in the UK 207,000 children start smoking. Yes, 207 THOUSAND. Thankfully my children won’t be exposed to tobacco adverts on TV and at sports events, they won’t see people smoking on trains or in cafes like I did as a child. But there are still a few ways that cigarette companies can entice new users and the major one is packaging. The new packets would, basically, be boring. They would be a standard size, shape and colour with no branding or logos. There would simply be the health warnings, the duty stamp and the brand name in a basic font. Sadly the government isn’t pushing this idea forwards as they had initially said they would. So Cancer Research UK are trying to keep the pressure up on them to do something about this. 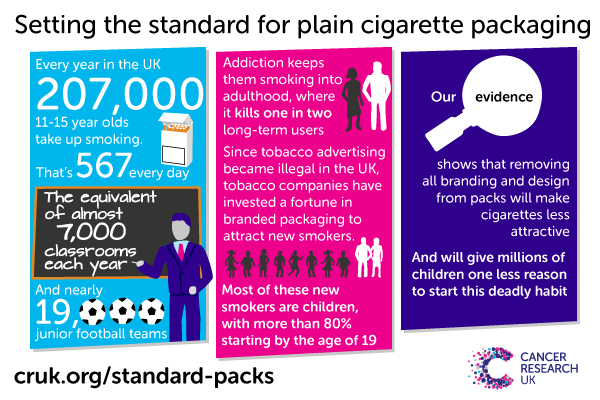 If, like me you don’t want your kids to think that cigarettes look “cute, classy and feminine”** then have a look at their website here, share this blog post and tweet: end the #packetracket . Companies go to a lot of effort to make their packaging look attractive. 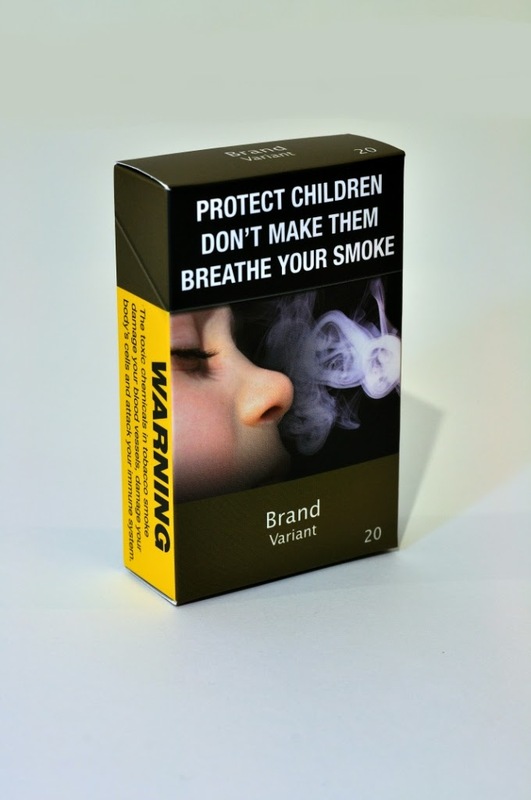 Let’s make this simple: if the packs are boring, there is one less reason for kids to reach for that first smoke. **From: Adolescent perceptions of cigarette appearance. European Journal of Public Health. Ford et al: (to be published this Autumn). Disclaimer- I am an employee of Cancer Research UK, however I have nothing to do with this campaign and have received no money or any other incentive to write this post. I saw a request for bloggers to get involved and decided it was something I wanted to help with because I don’t want my or anyone else’s children taking up smoking. Reposting this comment as I somehow managed to delete it! Thanks Randy, yes sounds like the government may now act on this. Good luck quiting and lets hope in future fewer kids will start in the first place.